Torsion in long or flexible crankshafts can cause deviations between indicated and actual crankshaft angles at a given cylinder, and hence between calculated and actual cylinder volumes for a given crank angle. 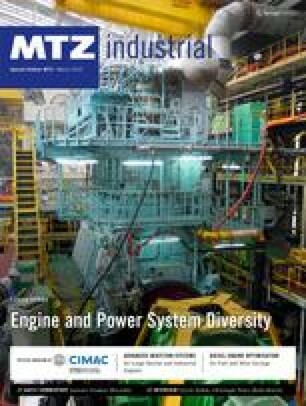 Kistler Instruments, GE’s Jenbacher product line and the LEC at Graz University of Technology have applied optical, in-cylinder measuring techniques to correct cylinder volume during fired engine operation. The research has led to more accurate combustion analysis, prediction of errors and a method of verifying simulation results. This article is based on a paper presented at the 2014 Torsional Vibration Symposium in Salzburg (Austria). In addition to high precision measurement data from cylinder pressure indication systems, ever greater requirements regarding thermodynamic analysis in engine development processes primarily demand precise knowledge of respective cylinder volumes during fired operation. Thanks go to Herbert Schaumberger and Reinhard Steiner of GE Jenbacher for their assistance on this project.